The form guide will read third but The Autumn Sun's luckless placing in the Stan Fox Stakes, confirmed what most of us already knew. He is a seriously smart horse. "He was very unlucky, and let's leave it at that," said Chris Waller. "It was the run of a winner so we won't be changing track. I had a fleeting thought that he might be looking for further but we just need to get him onto a good track. He showed today he would have won the race if things went his way. They didn't and he still ran very, very well. No change, it'll be the Golden Rose." The David Payne-trained Tarka beat Dealmaker in a photo finish, and even Payne was left wondering where exactly Tarka's ceiling is. “He keeps surprising me this little chap, he’s not a big horse, he’s only a little fella," said Payne. Winning rider James McDonald added, "He’s got so much untapped potential, he’s the ultimate professional, he’s got a really good turn of foot but you have to ask for it." Take nothing away from Dealmaker. He'll be a forced to be reckoned with when he, like Tarka, tackles the Gloaming and then the Spring Champion Stakes. The natural reaction when Nature Strip just held off Houtzen at Moonee Valley was to be a touch disappointed but he smashed the 1000m track record clocking 56.95, with the previous benchmark 57.19s. As far as The TAB Everest goes, he still divides punters. This win will only fuel the flames. TAB reacted by easing Nature Strip's Everest price from $8 to $9. 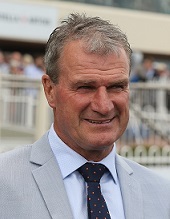 "There will be people querying the 1200m but with that under his belt and another solid run in the Moir, we'll be right," Darren Weir told Racing.com. "Normally we wouldn't rev horses out of the barriers like that but if he didn't use his barrier and go hard like he did it becomes messy. We wanted to make it simple and try to lead. All you can do is win. "He is the fastest horse I've trained, and to break the record that backs it up. It's exciting and hopefully we can get him to The Everest." The Star's Everest runner Shoals ran home into third and looks right on track for the big dance in October. Zousain will have more than three lengths to make up on stablemate Lean Mean Machine from The Run To The Rose but James McDonald hasn't lost any of the faith he has in the colt as he head towards the Golden Rose. "I was really pleased with him," McDonald said of Zousain, "He was just hopeless in that shifty ground. I pulled him out to the middle which is not the place to be today, it's all been up the fence, so get him on a fair track and firm ground he'll turn the tables." Chris Waller revealed that Tye Angland sort to lock down Lean Mean Machine as soon as he jumped off him in a recent Rosehill barrier trial. 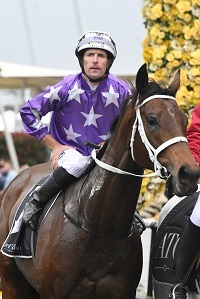 "Tye said I don't want to get on any other horse in the spring, keep me on this horse, and he was right," said Waller. "Zousain was labouring a long way from home in the going and Performer probably the same issue." The trio will join The Autumn Sun in tackling the Golden Rose. Lean Mean Machine is now on the second line of betting at $8 behind Graff ($4.60) who was brave in the race after covering ground with The Autumn Sun also $8, Zousain $11 and Performer $26. James McDonald tried to make an excuse for Champagne Cuddles. "It was a combination of things," said the hoop, "She was probably ridden a little bit too positively and the ground, albeit she has won on that ground but at a very low level. I expected more." The punters expected more too, confidently backing the four-year-old to start $2.60 favourite. She found the right part of the track but was no match for Invincibella and Noire while Magic Alibi pipped her for third. Punters Intel reveals that they didn't go particularly hard in front either with Memes clocking 37.04s for the first 600m. That was 4.5L slower than the first 600m split of Sandbar in The Run To The Rose. Hugh Bowman is of the opinion that Invincibella wouldn't be out of her depth at the very top level. "It was against the bias but there was plenty of pressure up front and I was comfortable throughout. I didn't want to come out where I was but I had no other option and she did the job for me," said Bowman. "She’s been such a consistent mare and I think she wouldn’t be out of place in a Group One mares’ race during the carnival." Boom import Avilius will step out in next Saturday's G3 Kingston Town Stakes (2000m) as he plots a course towards The Metropolitan. The five-year-old has been outstanding in his first two Australian starts and Paul Reid, assistant trainer at Goldolphin, said he is ticking over perfectly. "He is just coming along nice and steady. He is a horse at home that only does what he has to do. He is a pretty cool customer," said Reid. "He looks great, the three weeks between runs is perfect and it looks a really nice race for him there on Saturday. They are tough horses these imports and just goes through the motions." Avilus is a $4 favourite in TAB's Metrop market ahead of Ace High at $8, who he'll likely meet in the Kingston Town Stakes. 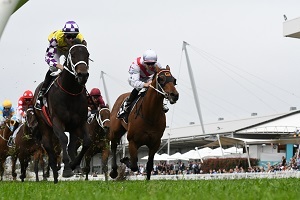 Check out the replays and results for Rosehill Gardens.